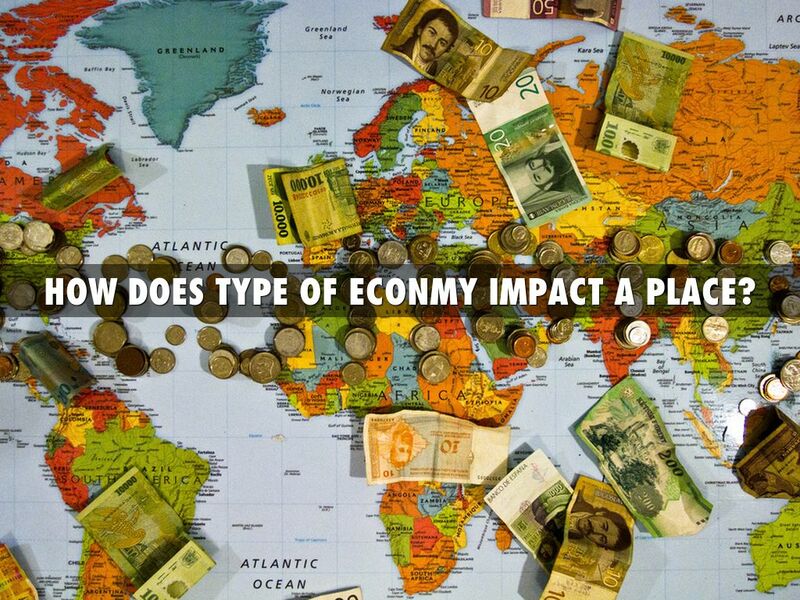 HOW DOES TYPE OF ECONMY IMPACT A PLACE? In and anarchy economy people just run wild and do whatever they want. People have their freedom and can do whatever they want. They don't have anyone running them and telling them what to do. 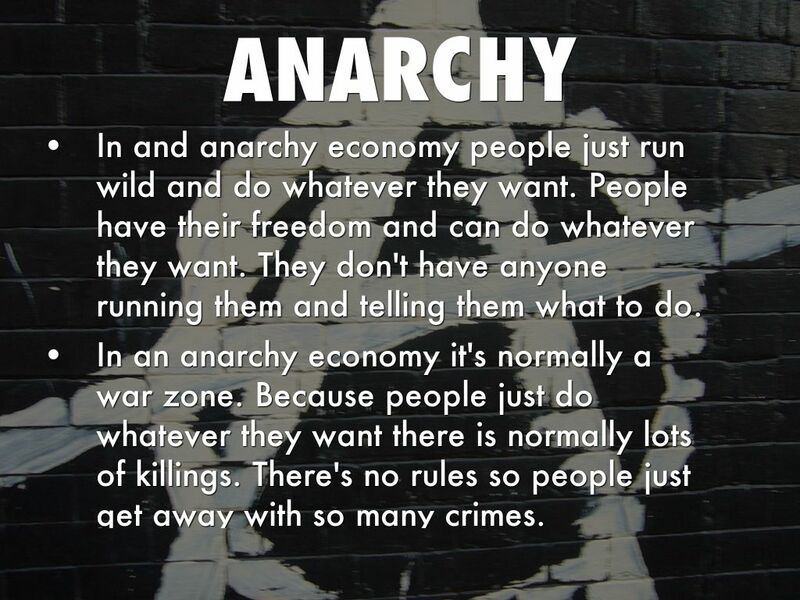 In an anarchy economy it's normally a war zone. Because people just do whatever they want there is normally lots of killings. There's no rules so people just get away with so many crimes. 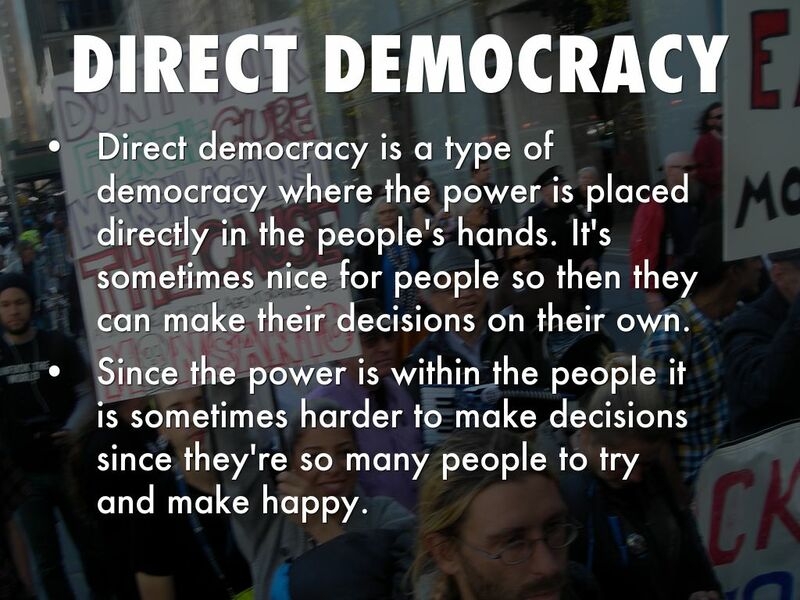 Direct democracy is a type of democracy where the power is placed directly in the people's hands. It's sometimes nice for people so then they can make their decisions on their own. Since the power is within the people it is sometimes harder to make decisions since they're so many people to try and make happy. 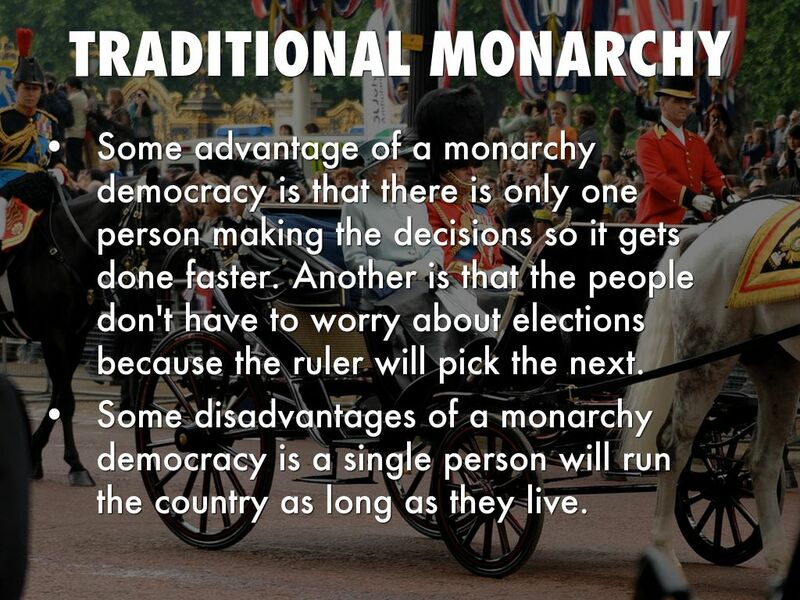 Some advantage of a monarchy democracy is that there is only one person making the decisions so it gets done faster. Another is that the people don't have to worry about elections because the ruler will pick the next. Some disadvantages of a monarchy democracy is a single person will run the country as long as they live. 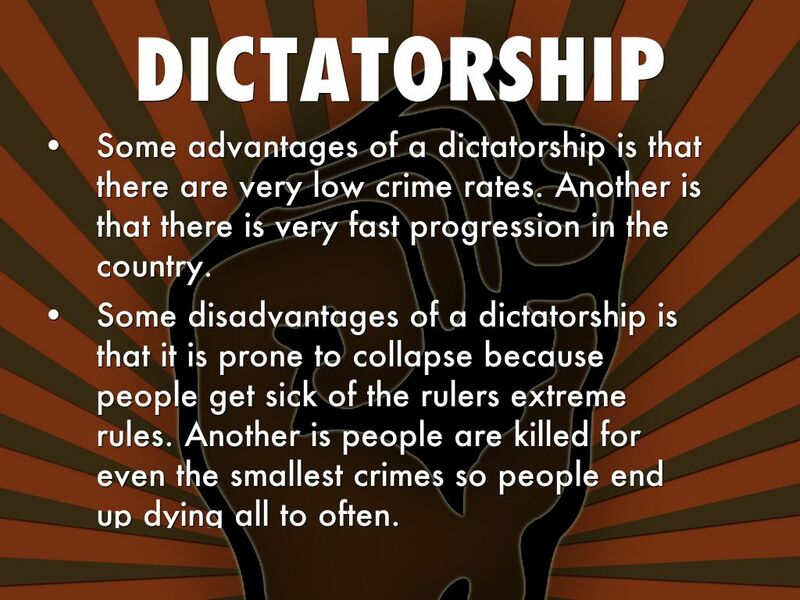 Some advantages of a dictatorship is that there are very low crime rates. Another is that there is very fast progression in the country. Some disadvantages of a dictatorship is that it is prone to collapse because people get sick of the rulers extreme rules. Another is people are killed for even the smallest crimes so people end up dying all to often. 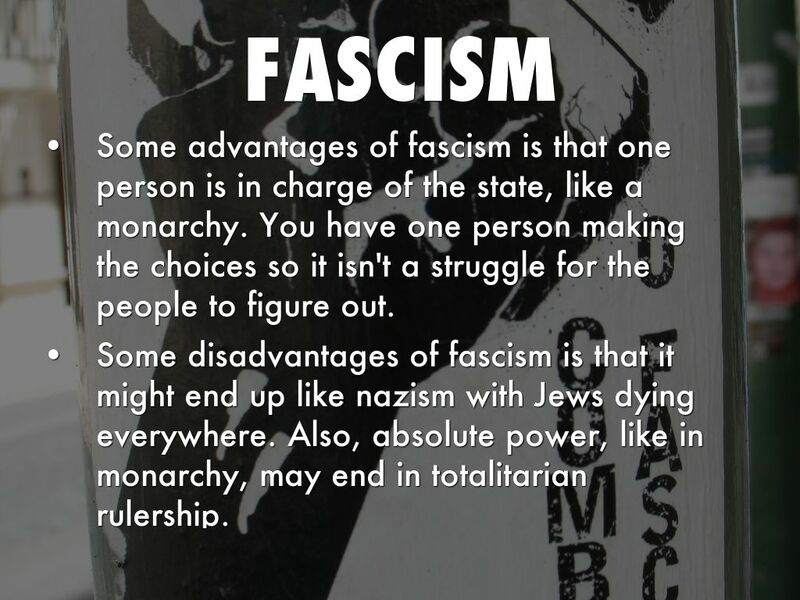 Some advantages of fascism is that one person is in charge of the state, like a monarchy. You have one person making the choices so it isn't a struggle for the people to figure out. Some disadvantages of fascism is that it might end up like nazism with Jews dying everywhere. Also, absolute power, like in monarchy, may end in totalitarian rulership. 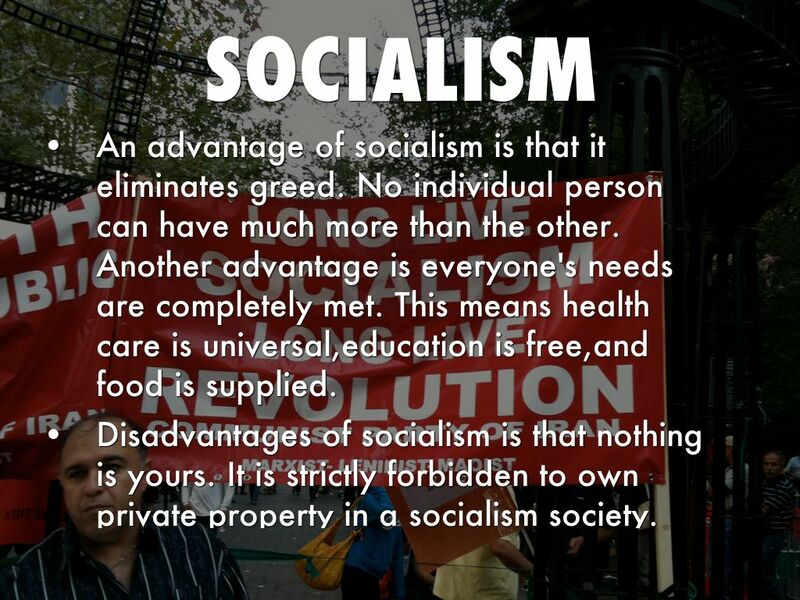 An advantage of socialism is that it eliminates greed. No individual person can have much more than the other. Another advantage is everyone's needs are completely met. This means health care is universal,education is free,and food is supplied. Disadvantages of socialism is that nothing is yours. It is strictly forbidden to own private property in a socialism society. Another is that it is very expensive to provide everyone with things that they all need. 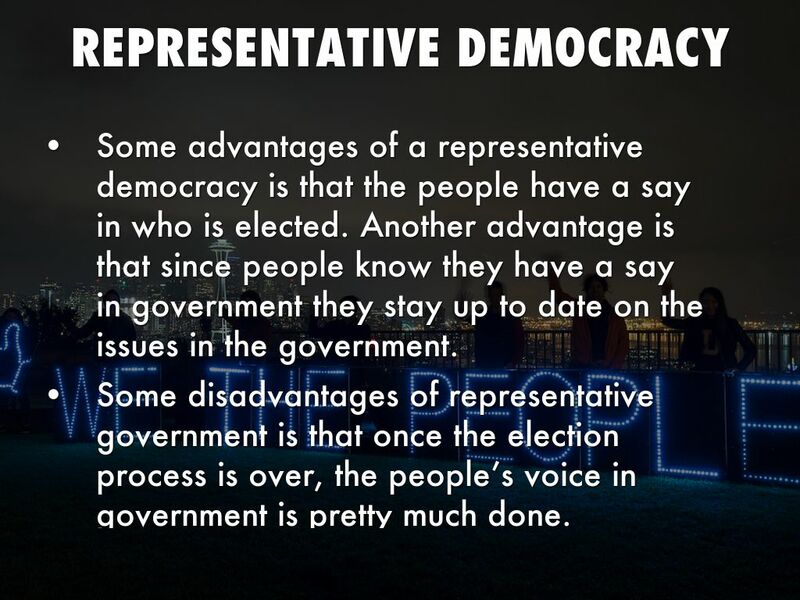 Some advantages of a representative democracy is that the people have a say in who is elected. Another advantage is that since people know they have a say in government they stay up to date on the issues in the government. 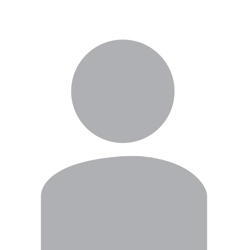 Some disadvantages of representative government is that once the election process is over, the people’s voice in government is pretty much done.